One of the things I often say during these teardowns is ‘there isn’t a game that I’ve looked at where I can say it’s just like another game’. That’s no longer true because as we discussed in the review Codenames Pictures is just like Codenames, but with pictures. To be fair, my general maxim remains in effect – we’re not really looking at a different game. Not really. It’s the difference between playing Texas Hold ‘Em and Five Card Draw. It’s still, in the end, playing poker. That means that large chunks of this teardown are going to be identical to those of the Codenames teardown. However, that added element of pictorial representation changes the results in number of the categories. To find out which ones we’ll need to grab our truth serum and interrogate the hell out of this box. As with the review, consider this an ‘extended director’s cut’. You’ll need to be familiar with the teardown of the base Codenames game since I’ll be referencing it a lot rather than duplicating commentary. As an academic, I believe that anyone that uses one word when they could have used twenty just isn’t making an effort, but that only counts if the words are meaningfully different. 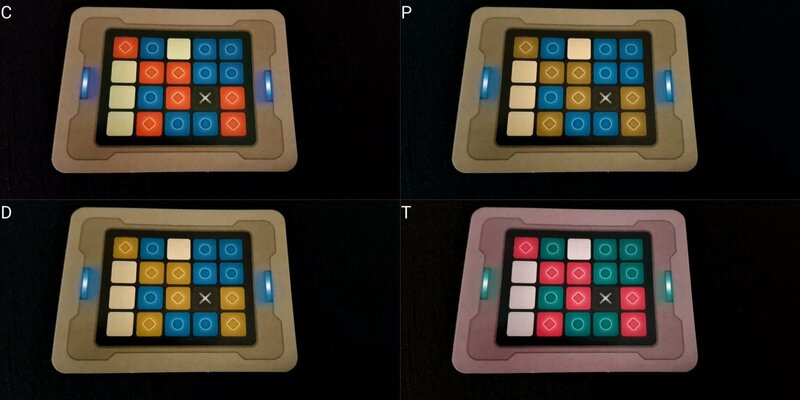 And the spymaster grids, while changed by colour blindness, remain uniquely differentiated even when dealing with monochromacy. 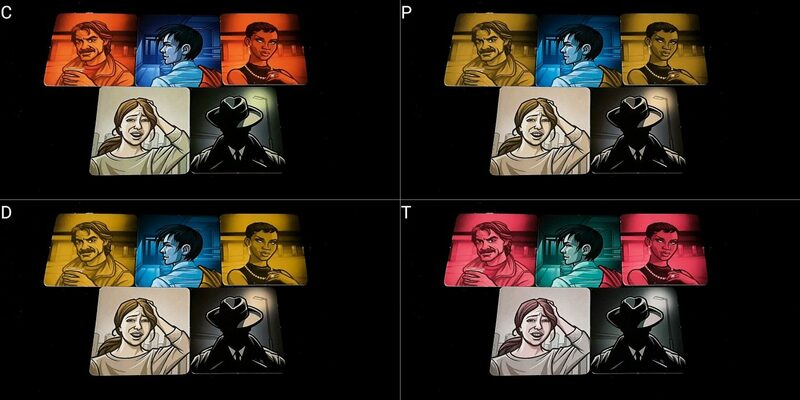 Since the images in Codenames Pictures are all simple greyscale, colour blindness doesn’t even affect that part of the game. At all. As such, another strong recommendation from us in the category of colour blindness. Here is where we see a real difference between the two games. We offered a recommendation for Codenames in this category because while the game involves a heavy amount of scanning it’s relatively easy to create digital support tools to ease that task. Not so here, because each image is individualised and resistant to easy expression in a spreadsheet. The pictures are relatively large and clear, and unlike Dixit or Mysterium they are not heavy with nuance or subtlety. However, there are a lot of them and the relationships between them may involve intersections of many elements, and subsets of elements within images. Orientation of images too is likely to be a problem – they have arrows on them to indicate which way around they should go, but that’s not going to be a comfort to the players on the opposite side of the table. Unlike many such games, it’s not as straightforward as a visually impaired player sitting in the most advantageous position. The spymasters must sit together to make sure the grid is not glimpsed. It’s not an insurmountable problem, but an obstacle to play that is not there in the original game which has the text displayed in both orientations. Playable even in the Upside Down. Some of the images too require relatively close scrutiny to see what’s going on, and that’s not possible to easily support with visually impaired players. There’s no more deeply corrosive impact on the integrity of the hidden information than a spymaster picking up a picture to take a closer look, putting it down, and then saying their clue. That’s not just impactful on the game. That undermines the game in its entirety. Closer investigation of cards with an assistive aid would have to come with a considerable degree of ‘smoke and mirrors’ to obscure intent. That’s rarely likely to be especially effective, and is always going to be subject to allegations of intentional signposting. As such, while we recommend Codenames itself (with caveats), we suggest you avoid Codenames Pictures if visual accessibility is a key requirement. Refer to the Codenames teardown for a full discussion of this. 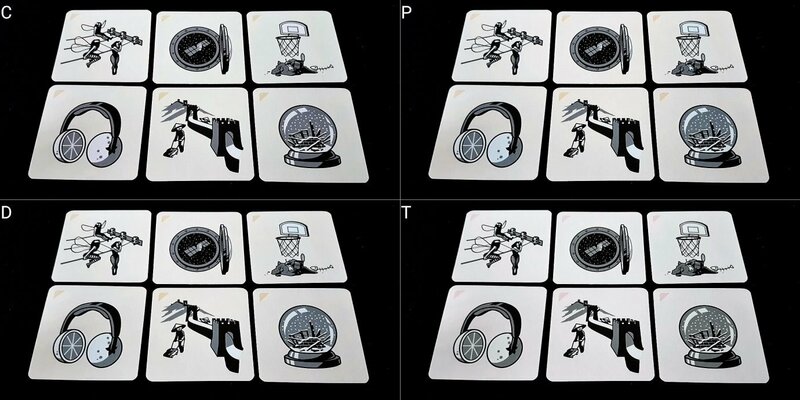 While there is no word association hiding in the heart of Codenames Pictures, there is an equally cognitively expensive visual association exercise. The good news is that it eliminates the literacy requirement that the game otherwise requires. All other points we made in the accessibility teardown for Codenames holds true. We’ll offer a recommendation in this category for fluid intelligence, bumping it up slightly from what ‘Codenames proper’ managed. Refer to the Codenames teardown for a full discussion of this. The accessibility profiles are identical, coming out as a recommendation. Refer to the Codenames teardown for a full discussion of this. The accessibility profiles are identical, coming out as a strong recommendation. Refer to the Codenames teardown for a full discussion of this. There are some differences we should discuss though. Codenames Pictures does better in this category because there is no requirement for literacy. Communicative fluency is still going to be an issue when it comes to articulating good, effective clues. However, the use of pictures means that the game is now entirely language independent and completely non-reliant on explicit vocabulary. The problems associated with dyslexia, homonyms and disambiguation are resolved. We’ll bump up our grade here. 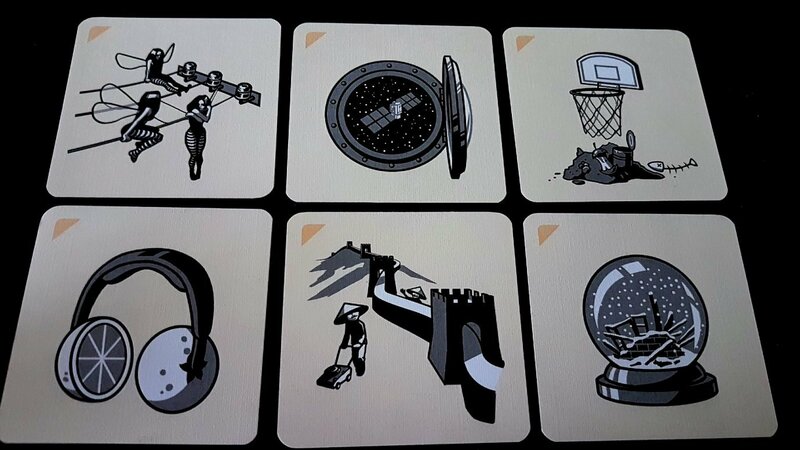 We’re willing to recommends Codenames Pictures in this category, although with the caveat that you’re still going to be trying to find nuanced connections between cards in order to maximise agent discoverability. That still requires a degree of communicative dexterity, but it’s no longer bound up in a linguistic context. 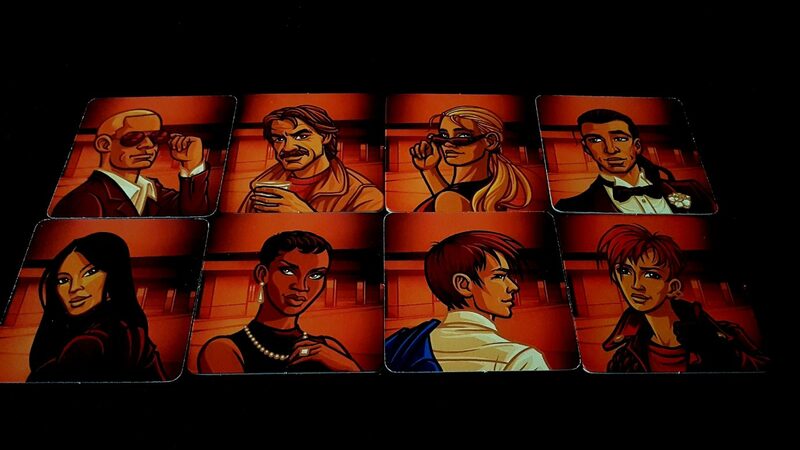 Codenames Pictures comes with a better roster for diversity than the main game, with each agent having their own distinctive art. There’s a very good blend of genders and ethnic profiles here, taking full advantage of the internationality of espionage. 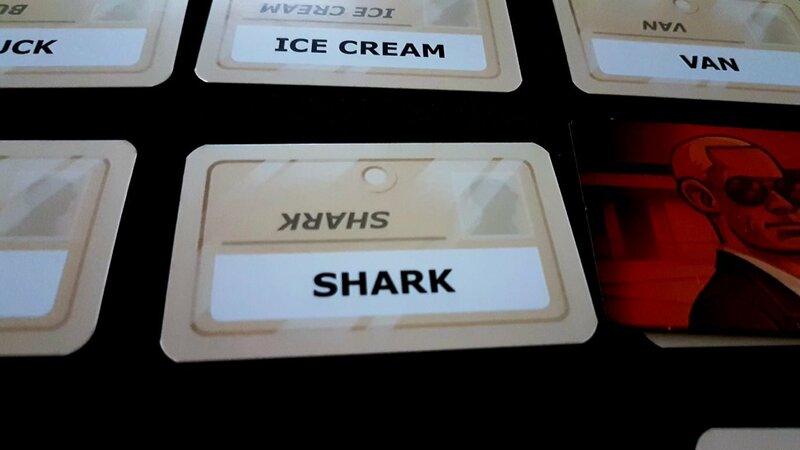 Codenames Pictures is a little bit more pricey, but not to the point that you’d need to seriously worry – most of the online retailers I’ve looked at have it available for a few pounds of difference. The amount of gameplay you’ll get out of either box is approximately the same. Whether you should get one or the other is going to be mostly driven by whether you like word matching or picture matching. We already strongly recommended Codenames in this category, but let’s remove that unsightly minus so that it sparkles a little brighter. The extra diversity in the art is a welcome addition. Wow, that was quick – and… cursory. That can’t be helped, because short of doing a copy and paste job there’s little we can do to really bulk out the discussion and earn my ‘unnecessary verbiage’ blogging badge. It might sound like a cop out, but ‘check the Codenames teardown’ will genuinely convey all the key necessary information for the sections where I’ve mentioned it. It’s interesting (to me, at least) to note that accessibility wise Codenames Pictures isn’t better, just different. The price of removing language dependence is greatly lowering visual accessibility, and removing the option for players to home-rule their own satisfying accessibility support regimes. That’s unfortunate, but really ‘nothing of value was lost’. Both games exist in the same universe. Your choice here isn’t ‘Codenames Pictures or nothing’ it’s ‘Codenames that works better for blindness and Codenames that works better for cognitive accessibility and literacy’. That’s not an availablle consumer choice for most games, but we should celebrate the fact Codenames comes with two variants that are differently accessible. Pick the one that works best for you, and you won’t miss out on anything. 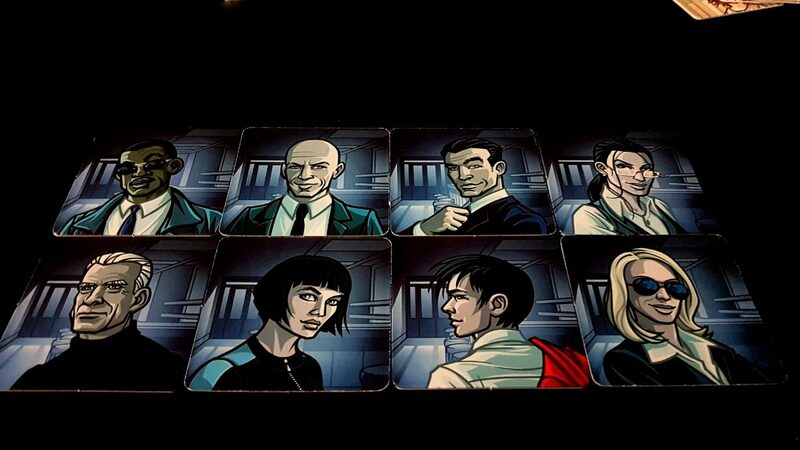 We don’t like Codenames Pictures any more than we like Codenames itself. Equally, we advise you to ignore us entirely and listen to the many other reviewers that offer more glowing reports of the fun inside the box. As to whether you should get Codenames Pictures or Codenames itself though – well, let the accessibility profiles guide you towards the correct decision.